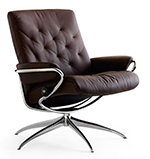 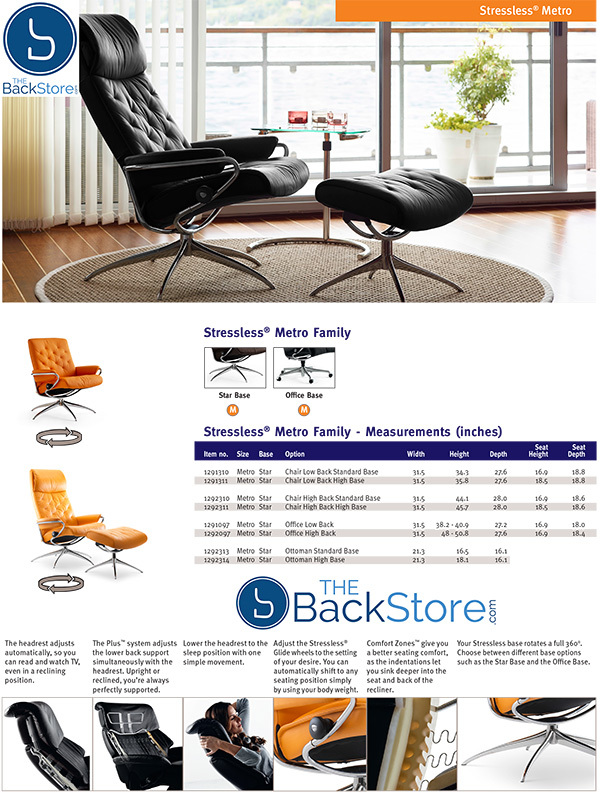 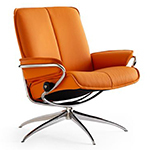 Ekornes Stressless Metro High Back Leather Recliner and Ottoman - Metro Chair Lounger - Ekornes Stressless Metro Recliners, Stressless Chairs, Stressless Sofas and other Ergonomic Furniture. Recliner: W:31.5 H:44 - 45.5 D:28"
Stool: W:21.5 H:21.5 - 22.5 D:16"
The Stressless Metro High Back is the latest addition to the Stressless collection. 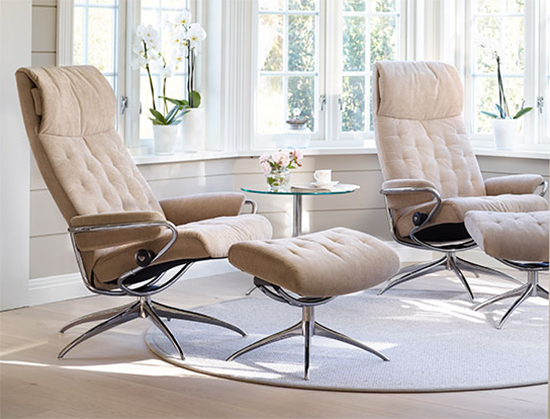 The Stressless Metro is equipped with all the comfort features you have come to know and love in the Stressless line. 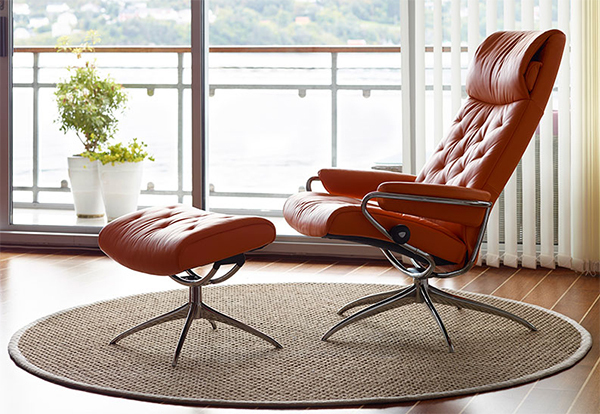 The Metro combines a stylish rotating base, fresh lines and a new headrest pillow for optimal neck support. 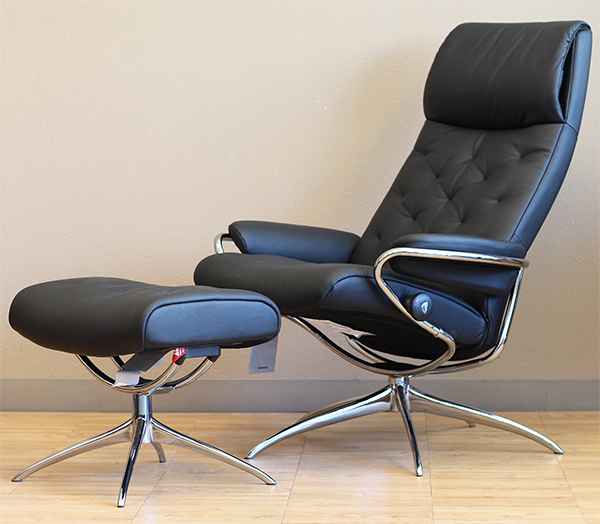 The Stressless Metro is available in two seat heights, 17" (standard) and 18 1/2" (tall). 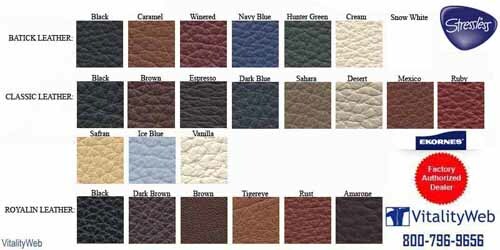 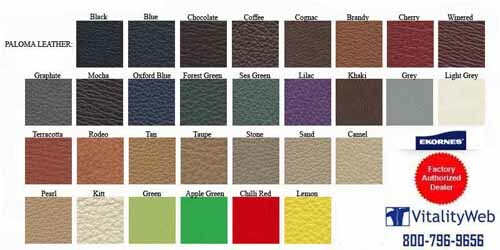 Stocking Colors for Quick Shipping are Batick Snow as well as Black, Tomato and Mocca Paloma Leather.